Margo Cathleen Harshman (born March 4, 1986) is an American actress known for her roles on The Big Bang Theory as Sheldon Cooper's assistant, Alex Jensen, and as Delilah McGee, Timothy McGee's paraplegic wife on NCIS. 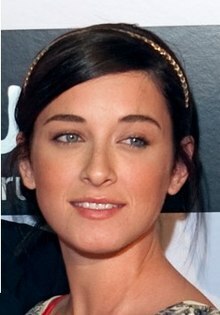 Margo Harshman was born in San Diego, California. She has two brothers, one older and one younger. Harshman lived in La Costa, San Diego County, California and attended school there until she was 12, after which she moved to Orange County, California. There she finished the rest of her education, first at Hewes Middle School and then at Foothill High School. Harshman now lives in Los Angeles. She is related to former professional baseball pitcher Jack Harshman and former Washington State University and University of Washington basketball coach Marv Harshman. On May 14, 2014, her mother, Janelle Louise Harshman, died from breast cancer after a 20-year battle with the disease. At the age of two, Harshman's grandmother entered her in a beauty pageant. At 3, she was involved in dance and gymnastics. At 5, she learned to play piano, and at 8, she began acting and met her first manager. She has appeared in The Big Bang Theory as Alex Jensen, the assistant of Sheldon Cooper, and in NCIS as Delilah Fielding, an intelligence analyst in a wheelchair at the US Department of Defense and the wife of Timothy McGee. Harshman starred on the short-lived TV shows Run of the House and Center of the Universe. Her movie appearances include Sorority Row and College Road Trip. She was also in The Even Stevens Movie. In 2005, Harshman was nominated for two awards at the Young Artist Awards, one for Best Performance in a TV Movie, Miniseries or Special by a Supporting Young Actress for The Even Stevens Movie (2004) (TV) and the other for Best Performance in a TV Series (Comedy or Drama) by a Supporting Young Actress for Even Stevens (2001). In 2009, Harshman won the ShoWest "Female Stars of Tomorrow" award at the ShoWest Convention along with fellow Sorority Row cast members Briana Evigan, Leah Pipes, Rumer Willis, Jamie Chung and Audrina Patridge. 2004 Without a Trace Harley Palmer Episode: "Bait"
2005 Everwood Maura Episode: "Put on a Happy Face"
2006 Grey's Anatomy Jennifer Morris Episode: "Oh, the Guilt"
2007 Journeyman Abby Armstrong Episode: "Winterland"
2008 90210 Detention girl Episode: "Hollywood Forever"
2008 Boston Legal Margie Coggins Episode: "Juiced"
2009 Modern Family Jungle Tanya Episode: "Fizbo"
2010 $h*! My Dad Says Kim Episode: "Family Dinner for Schmucks"
2012 House Melissa Episode: "Love Is Blind"
2013 Bones Alison Kidman Episode: "The Fury in the Jury"
2014 CSI: Crime Scene Investigation April Brock Episode: "Rubbery Homicide"
^ a b c d "Margo Harshman". TVGuide.com. Retrieved 7 June 2016. ^ "Janelle Louise Harshman 1950–2014". legacy.com. May 21, 2014. ^ "Margo Harshman | Movies and Filmography | AllMovie". AllMovie. Retrieved 7 June 2016. Wikimedia Commons has media related to Margo Harshman. This page was last edited on 30 January 2019, at 01:00 (UTC).